J Zechner Associates was founded in 1993 and enjoys stable ownership. Since then, we have built an entrepreneurial organisation focused on serving the investment management needs of institutional clients, mutual funds, as well as high-net worth individuals and families. At J Zechner Associates, our clients have the advantage of being served by a team of talented, experienced professionals. Each professional brings their own expertise and talent to a structure that emphasizes a team approach to money management while respecting each individual’s skill and experience. J Zechner Associates is 100% owned by its partners, all of whom are actively working for the firm. Every one of our principals has a stake in our performance, growth and client servicing. We have built a strong, family-like team – a company culture that carries over to our relationships with our clients. 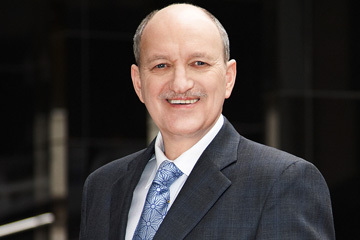 John Zechner is the Chairman of J Zechner Associates. Founded in 1993, the company has grown steadily and today manages over $1.7 billion in assets, primarily in North American equity, balanced and fixed income mandates. John entered the investment field in 1983 and worked in a variety of progressively more senior roles until he formed J Zechner Associates to manage investments for some of Canada’s most well-known mutual fund companies as well many private investors and institutions. John has both a BA (1979) and an MA (1980) in economics from the University of Western Ontario, as well as his CFA (1984) designation. John appears regularly on Business News Network Television. 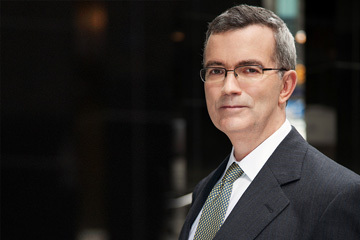 Over the last three-and-a-half decades, John has picked up numerous awards for several of his top performing funds, including the Pooled Balanced Fund and the Global Hedged Growth Fund. Jacqueline began her investment career in 1987 at Mercantile and General Reinsurance Co. with responsibilities for equity research, trading and portfolio performance evaluation. She joined the Ontario Teachers’ Pension Plan Board in 1993 as Senior Analyst for the active equity portfolio of $2 billion. In 1994, she joined Gluskin Sheff & Associates as Senior Investment Analyst and eventually as Co-Portfolio Manager of the $600 million Canadian equity portfolios. Jacqueline joined J Zechner Associates in 1997 as a Vice President and Director and is responsible for stock selection and portfolio mix. Jacqueline obtained her HBA (1987) from the University of Western Ontario and her CFA (1991) designation. Jeff Herold is Chief Executive Officer at J Zechner Associates, where he has been the lead fixed income manager since becoming a partner in 1997. His responsibilities have included all fixed income portfolio management as well as asset mix strategy for balanced portfolios. Jeff has his B.Comm (1977) from the University of Toronto and his CFA (1982) designation. 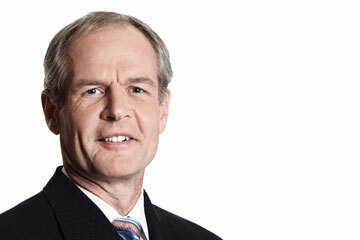 Jeff has been managing institutional, pension and mutual fund investments since 1978. His experience in fixed income markets spans several cycles and underlies his multi-strategy approach to managing fixed income portfolios. Jeff also brings a client’s perspective, having served as the Chair of Trinity College’s Investment Committee overseeing its endowment and pension funds. David joined J Zechner Associates in January 1997 and has primary responsibility for business development and client relationships. 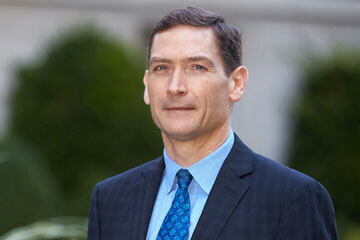 David also sits on the Asset Mix Team along with three other partners .He was appointed President in 2000. David has a BSc in Business Administration (1983) and an MBA (1984) from USIU in San Diego, California. David began his investment career in 1984 with Deak Perera. He joined Metropolitan Life as a Pension Marketing Representative in 1986 and then moved to North American Life in 1988 where he continued to provide marketing and client services to larger group pension clients. In 1992, David was named Vice President, Marketing of North American’s investment subsidiary, Elliott & Page Limited, where he was responsible for institutional business development and client servicing. 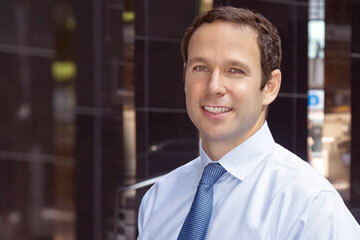 Dax Letham is Chief Investment Officer at J Zechner Associates, and has been with the firm since 2003. Dax’s responsibilities include trading equity, bond and money market securities, as well as providing investment strategies and recommendations to the Portfolio Managers and their teams. Dax currently sits on the Equity, Fixed Income and Hedged Fund Investment Teams, as well as the Asset Allocation Committee. Prior to working at J Zechner Associates, Dax was at SEI Investments and RBC Dominion Securities. Dax is a Chartered Financial Analyst (CFA), a Certified Managerial Accountant (CMA) and holds a Masters in Business Administration (MBA) from the Ivey School of Business at the University of Western Ontario. Ian Clare joined J Zechner Associates in 2013, and is part of the Fixed Income team. Ian brings more than 15 years of fixed income experience, including work with Bank of Montreal and pension plan managers. He has expertise in both public and private fixed income credit markets, covering analysis, trading and management of both investment grade and non-investment grade and high yield bonds, leverage loans and credit derivatives. Ian has a BComm from the University of Toronto and a CFA designation.